In-depth profiles of 19 major suppliers with a comprehensive look at their product and pricing strategy, manufacturing and export capability, verified contact details, and more – this information is not available anywhere else. Although confronted by several challenges stemming from infrastructural and technological limitations, the garments industry in Myanmar is facing bright prospects over the coming year. The sector is undergoing a transformation as it benefits from political and economic reforms being implemented by a newly democratic government. Because of these developments, the country is seen to restore and expand trade with large economies in the West, specifically the US and the EU. 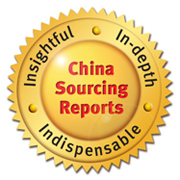 In addition, prominent apparel brands have shown interest in sourcing from domestic suppliers. Despite the barriers it is encountering, the industry has a number of strengths. The labor cost in Myanmar is one of the lowest in Asia, making it a cost-effective alternative sourcing hub. Attractive investment schemes are also being established to pull in foreign capital. 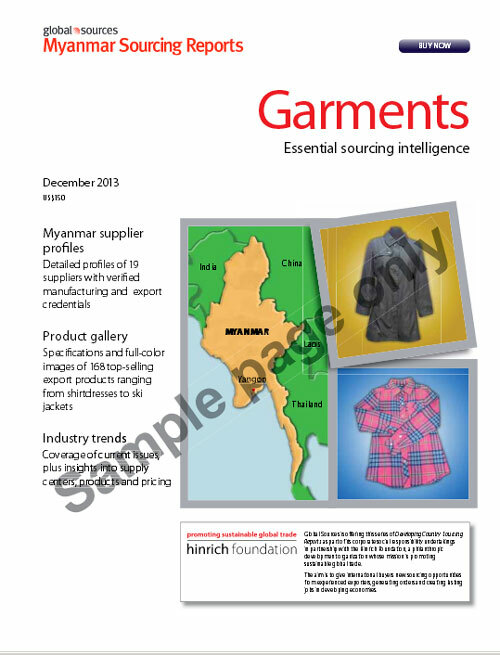 This report focuses on the main types of garments from Myanmar – casual wear, baby & children’s wear, underwear & sleepwear, sportswear, and formal wear.